Declared a World Heritage Site by UNESCO in 1998. It is advisable to visit after the descent through the Almadenes Canyon, just two minutes away. 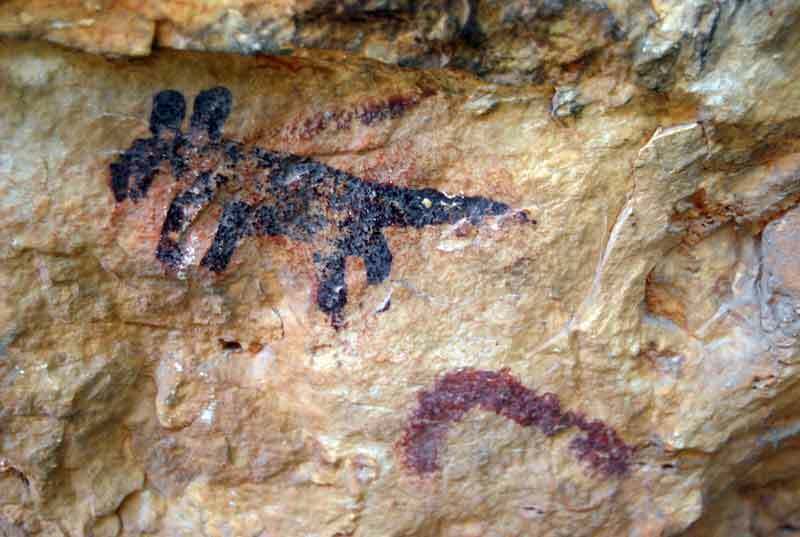 Who visits the cave-chasm of the Serreta is amazed by the spectacular nature of the landscape, and pleasantly surprised to discover in its interior one of the most significant rock art stations in the Region of Murcia. Free pass to children under 14 years old. 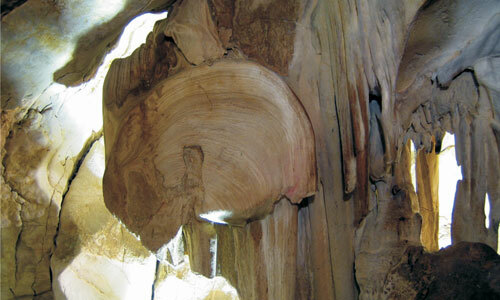 La Cueva-sima de la Serreta is located in the Protected Natural Area of the Almadenes Canyon. Through this canyon flows the Segura River, enclosed between vertical walls that in some sections reach 100 meters in height. The karstic nature of the environment has given rise to a great concentration of caves, chasms and shelters that were used by prehistoric man as a refuge. La Serreta opens on the left bank of the Los Almadenes canyon, in a magnificent landscape of great visual impact and practically inaccessible from the outside. The dimensions and the special arrangement of the cavity distance it from the traditional typology of shelters with rock art, which makes it consider it more like a cave than a shelter proper. This special arrangement has allowed its difficult location and difficult access, justifying the limited human intervention, which has allowed a good conservation of the paintings and the interior of the cavity. 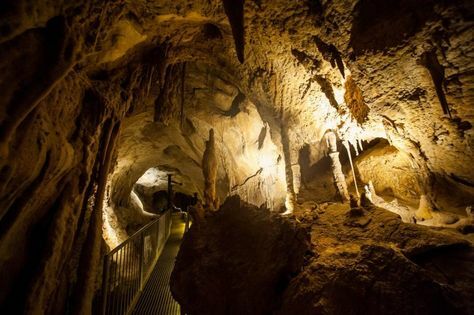 There are three main elements that make this cave one of the most unique archaeological sites in the geography of Murcia. On the one hand, the spectacular location, in the heart of the Almadenes Canyon, and from whose inner balcony you can enjoy one of the best views of the River Segura as it passes through the Region of Murcia. On the other hand, the existence inside of the remains of a Roman habitat, the only one documented so far in a cave in the Iberian Peninsula. And finally, the discovery of two panels of rock art paintings very well preserved. 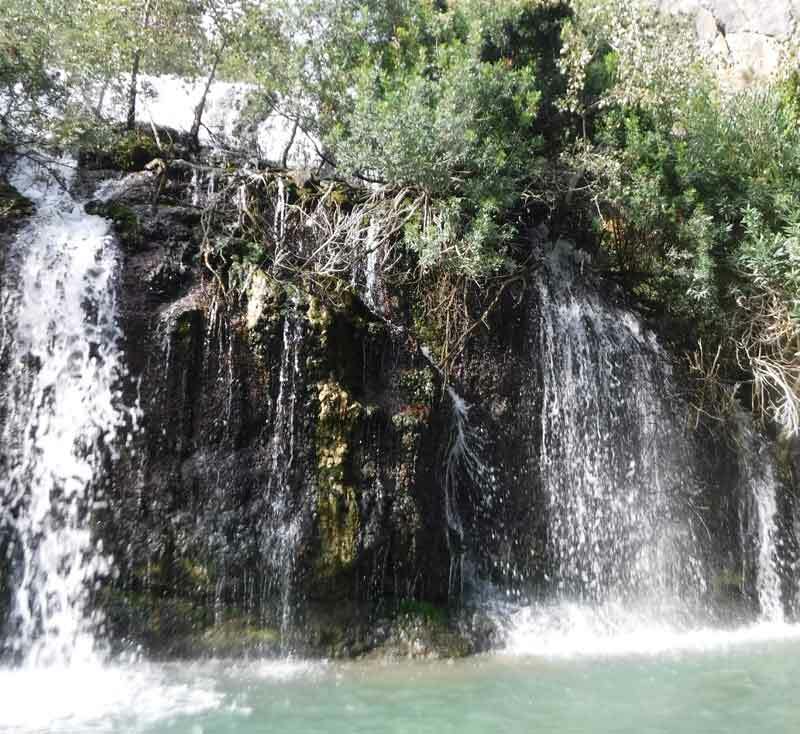 It is located on the S-SW slope of Mount Chatres which is part of the mountainous alignment of the Sierra del Puerto, 9 km from the town of Calasparra. 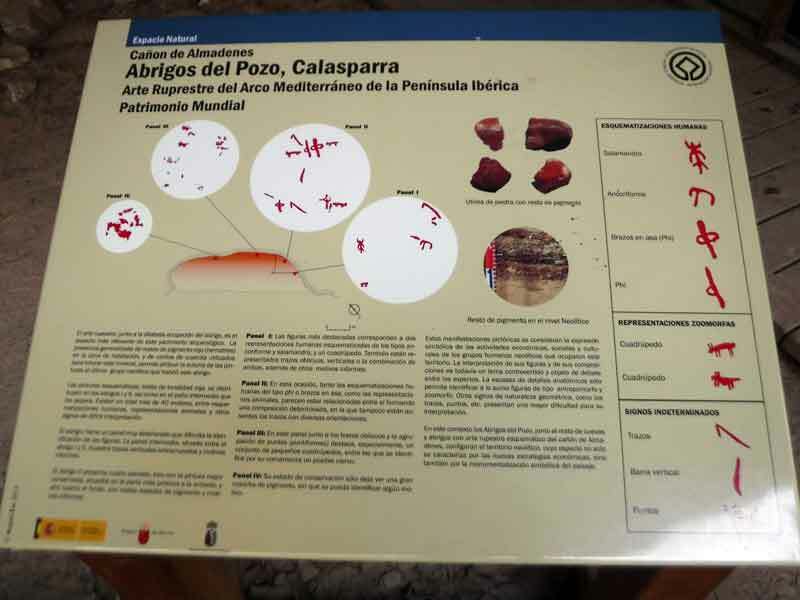 The Cave of the Port is one of the caves of greater horizontal route of the Region of Murcia, with about 5 km topographed and a difference of 114 meters of depth. 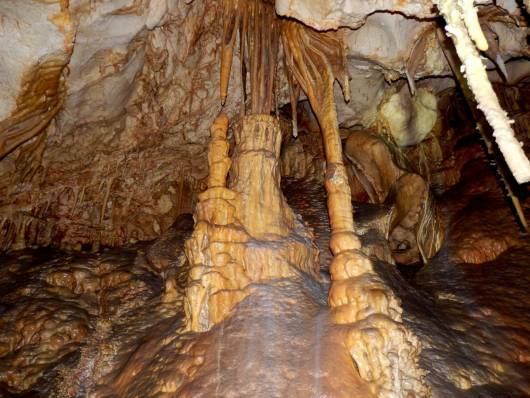 The geology of the interior is composed of galleries and rooms of great natural beauty. It is made up of upper Cretaceous materials in which a basal dolomitic complex and upper limestone formation characteristic of a marine environment are distinguished. In the Tertiary or Cenozoic period the alpine folds occurred, which gave rise to the main mountain ranges of the planet and which produced the Betic mountain ranges and with them the Sierra del Puerto. 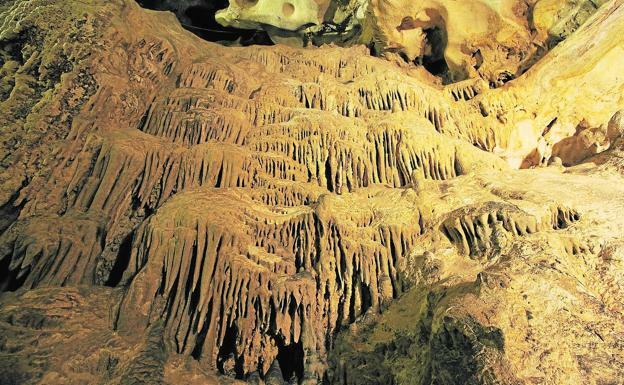 The tour has a route of about 7oo meters lit and acoustically acclimated with a difference of 25-30 meters depth, in which you can see different rooms and galleries, formed by different speleothems, spectacular formations of stalactites and stalagmites with great diversity of colors, tubiforms throughout the cave as well as large salts of karstic formations. In this tour we can enjoy different rooms to which the imagination has named them: the Gaudí Room, the Medusa Room, the Chick Room, the Grand Curtain Room and the Organ Room among others. Beautiful shelter of Rupestrian Art, declared a World Heritage Site by UNESCO, can be seen along the descent of the Almadenes Canyon. Los Abrigos del Pozo, better known as cave de los Monigotes, name given by the ancient shepherds due to the drawings represented on the walls of the cave, are located on the northwestern slope of the Sierra del Molino (Calasparra, are at the foot of a rocky step of the Almadenes Canyon, on the right bank of the Segura River. The shelter offers excellent conditions of habitability, is about 30 meters long and 9 meters deep and 4 meters high. 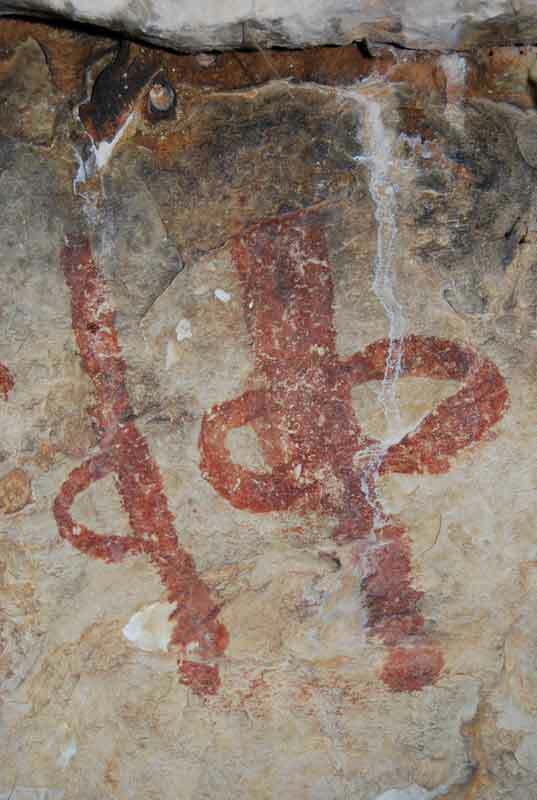 The cave art, together with the extensive occupation of the shelter, is the most relevant aspect of this archaeological site.